Western corner of North Terrace and Pulteney Street, Chalmers Church. The church was opened in 1851 and the tower was added in 1858. 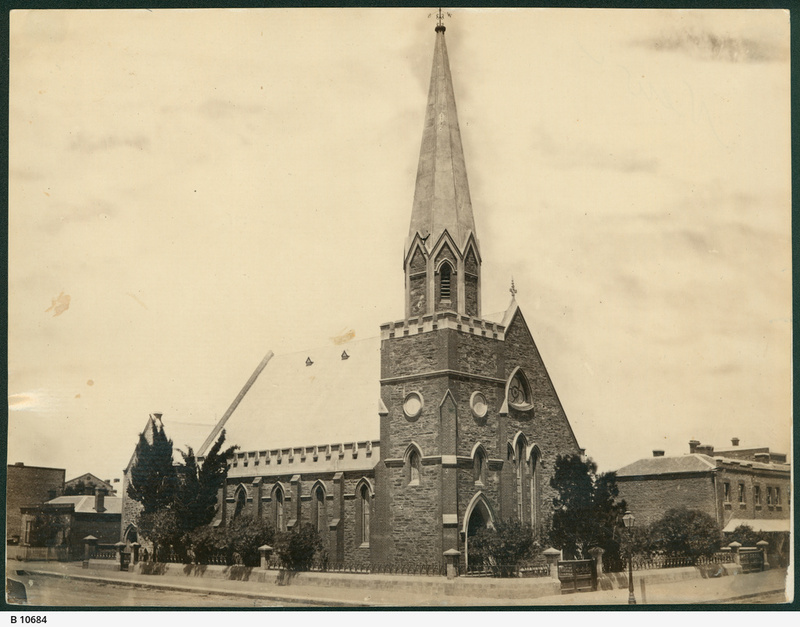 In 1929 the Flinders Street Presbyterian Church and Chalmers Church amalgamated under the new name of Scots Church. Chalmers Church was named after the Reverend Dr Thomas Chalmers, who supported the Free Church of Scotland. It was built by a group of early immigrants to South Australia.